Great suit for pendant lights, wall lights, chandeliers. 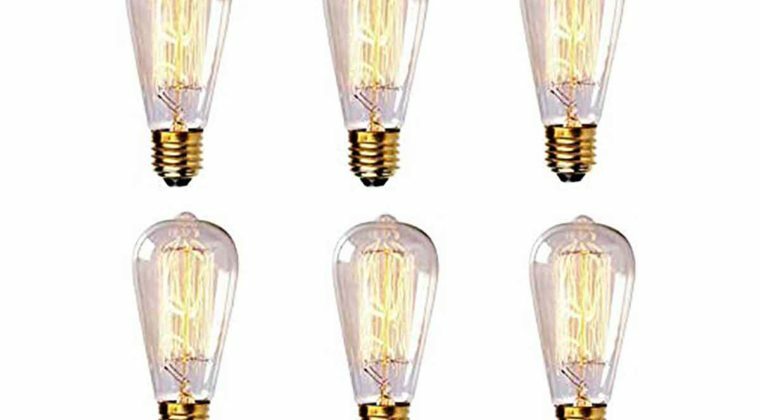 60w vintage filament bulbs (110-130V). Each bulb measures 2.55″ D x 5.51″ L; Brass base with clear glass bulb. Fits into medium (E26) bases, lights up to a brightness of 135 lumens, and has a 3,000 hours life span. STYLE: E26 Edison Bulb features antique crafted glass design paired with exposed retro filaments. Vintage light bulb set is manufactured to last. With top quality materials. LONG LASTING: Edison lights use 60W of power and last for 3,000 hours on average. WARRANTY: 2-Year Warranty has you covered. 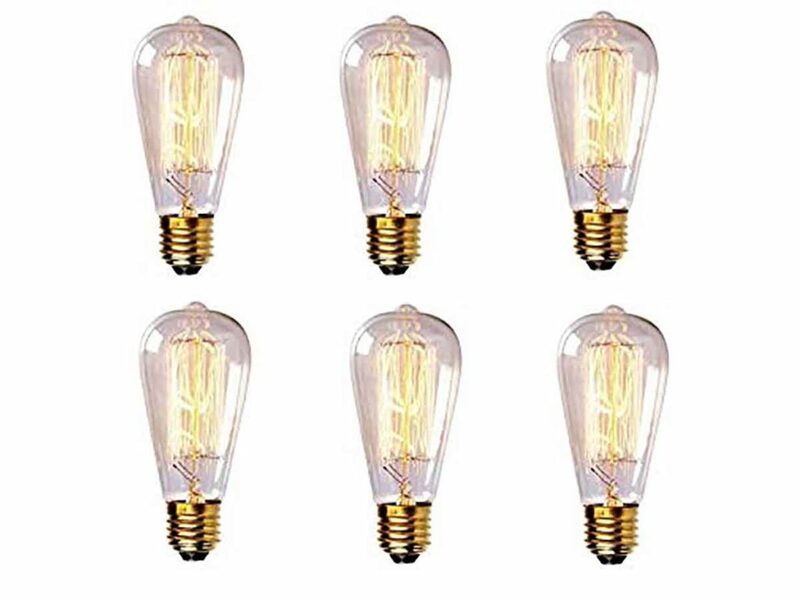 Edison Style – Vintage Antique Light Bulb 60 Watt, 5.5″ Length, Set of 6 – Industrial – Incandescent Bulbs. 60 watt light bulb lumens led bulb watt equivalent profile view 60 watt light bulb lumens led. 60 watt light bulb lumens led filament bulb watt.